FROM TIME IMMEMORIAL, humankind has regarded it as a blessing to be fruitful and multiply. A philosopher and bioethics instructor at Johns Hopkins University, Rieder was the focus of a recent NPR story, in which he argued that having children is immoral and should be discouraged with government penalties. It's not that Rieder dislikes children — in fact, he has a 2-year-old daughter of whom he's quite fond. But with "dangerous climate change" approaching a tipping point "very, very soon," he says, bringing more children into the world is unethical. After all, every additional baby means additional carbon emissions, and more carbon emissions mean rising global temperatures. Without drastic change, the planet will soon be "largely uninhabitable for humans." So the natural human urge to procreate, Rieder insists, must be suppressed. Curiously, Rieder seems to believe he is saying something fresh and unusual. "Here's a provocative thought," he announces. "Maybe we should protect our kids by not having them." Provocative? The notion that too many people are having kids, and that "overpopulation" spells doom for life on Earth, has been an article of faith among environmental extremists since at least the 1960s. David Brower, the longtime executive director of the Sierra Club, insisted decades ago that childbearing should be "a punishable crime against society, unless the parents hold a government license." The current White House science adviser, physicist John Holdren, was writing in the 1970s about the catastrophe that would result if governments didn't turn to forcible sterilization, compulsory abortion, or anti-fertility drugs in the water supply to shrink the population. "If the population control measures are not initiated immediately and effectively," wrote Holdren in a book co-authored with ecologist/alarmist Paul Ehrlich, "all the technology man can bring to bear will not fend off the misery to come." Babies are more than carbon footprints. They grow up not merely to consume, but to produce. With more people a society gets more innovation, more acts of kindness, more social welfare, more enterprise, more caregiving, more discovery, more prosperity. 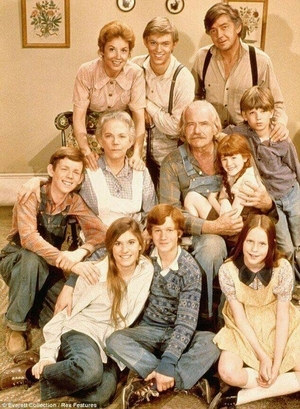 To say nothing of more entertainment, like the hit 1970s TV show, "The Waltons." Population misanthropes were freaking out about the disasters sure to come from making too many babies as far back as ancient Greece. 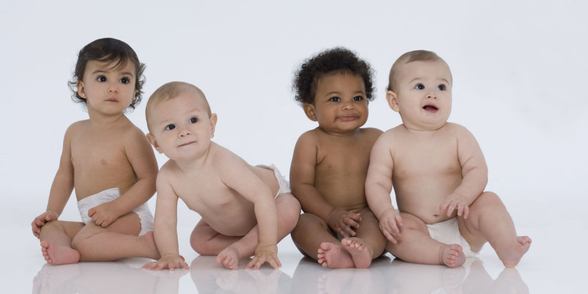 But though babies keep being made — at present, some 130 million of them every year — the disaster never comes. The number of men, women, and children on the planet has exploded from 2.5 billion in 1950 to 7.4 billion today, yet humanity is better off than ever. People live longer, healthier, and more comfortable lives than at any time in human history. By and large, they have more wealth, more education, more food, more medical care, more energy, and more natural resources than their forbears could have dreamed of. Never have there been so many people in the world. Never have the world's people been so well off. Coincidence? Not at all. When people are fruitful and multiply, they tend to make the world better, not worse. Population doomsayers get lots of attention, but the doom they predict invariably fails to materialize. That is because babies are more than carbon footprints. They grow up not merely to consume, but to produce. They think and create and explore and imagine — and they inspire others to do so as well. With more people a society gets more innovation, more acts of kindness, more social welfare, more enterprise, more caregiving, more discovery, more growth, more prosperity. When parents bring a baby into the world, they do a wonderful thing — both for the baby and for the world. You really want to save the planet? Ignore the gloom-and-doomers, and have more children.